At Making Waves, our commitment to aquatic safety runs deep, which is why we offer a host of Lifesaving Courses. 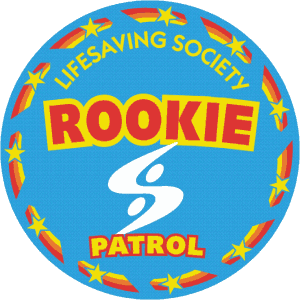 The Swim Patrol courses will introduce your child to first aid practices and lifesaving skills, the Bronze Medal Courses will challenge them with more advanced skills including CPR, while the National Lifeguard is Canada’s only nationally recognized lifeguard certification program. We are pleased to offer these courses in both Milton and Brampton. Please note, our Brampton Leadership Programs take place at Cobra Swim Club. Interested candidates should contact their nearest location and speak with the Site Supervisor to learn more. Swimmers continue stroke development with 50-metre swims of front crawl, back crawl and breaststroke. 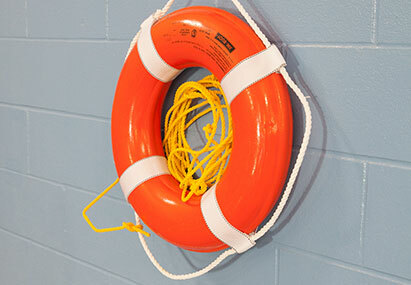 Lifesaving sport skills include a 25-metre obstacle swim and 15-metre object carry. First aid will focus on assessment of conscious victims, contacting EMS, and treatment for bleeding. Fitness improvements are tested in 350-metre workouts and 100-metre timed swims. Swimmers will develop better strokes over 75-metre swims of each stroke. 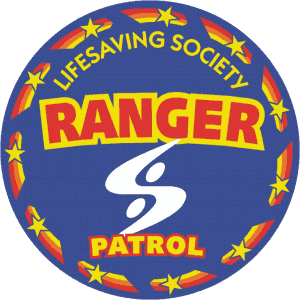 They will tackle lifesaving skills in a lifesaving medley and timed object support and rescue with a buoyant aid. First aid will focus on assessment of unconscious victims, treatment of victims in shock, and obstructed airway procedures. Skill drills will develop a strong lifesaving foundation. Swimmers will be challenged with 600-metre workouts, 300-metre timed swims and a 25-metre object carry. Strokes are refined over 100-metre swims. First aid will focus on treatment of bone or joint injuries and respiratory emergencies including asthma and allergic reactions. Lifesaving skills will include defence methods, victim removal and rolling over and supporting a victim face up in shallow water. Over 800,000 Canadians participate in Lifesaving Society training programs every year including all of Canada’s National Lifeguards. 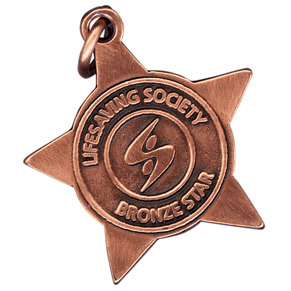 Making Waves offers the Lifesaving Society Bronze Medal courses including the Bronze Star, Bronze Medallion and Bronze Cross. These fun and challenging courses will get you started on the road to Lifeguarding and Instructing! Students will become stronger swimmers, learn CPR, and practice problem-solving and decision-making. The Bronze Star provides excellent preparation for success in Bronze Medallion and includes a timed 400-metre swim. Students will gain an understanding of the lifesaving principles embodied in the four components of water-rescue education – judgement, knowledge, skill, and fitness. Rescuers learn tows and carries, defence methods, and releases in preparation for challenging rescues of increased risk involving conscious and unconscious victims. Lifesavers will develop stroke efficiency and endurance will be tested in a 500-metre timed swim. 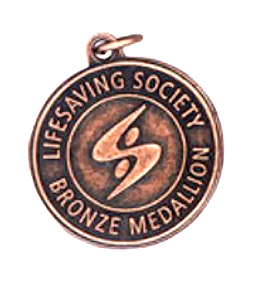 This course combines the Bronze Medallion and the Lifesaving Society Emergency First Aid/CPR-B certifications into one course. This course is designed for lifesavers that want the challenge of more advanced training, including an introduction to safe supervision in aquatic facilities. 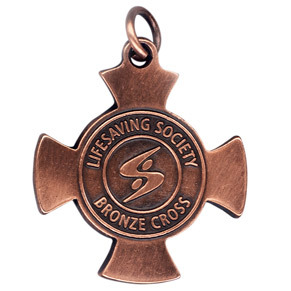 The Bronze Cross is a prerequisite for all advanced training programs including National Lifeguard and Instructor Certification. Endurance will be tested with a timed 600-metre swim. This course combines Bronze Cross with the Lifesaving Society Standard First Aid/CPR-C and Automatic External Defibrillation certifications into one course. Prerequisites: Minimum 16 years of age by examination date, Bronze Cross certification (need not be current), Standard First Aid certification from one of the following agencies: Lifesaving Society, Canadian Red Cross, St. John Ambulance, Canadian Ski Patrol (need not be current). 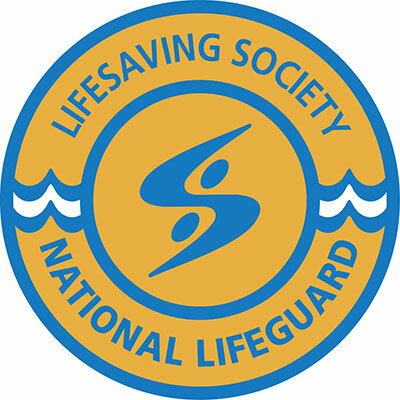 National Lifeguard is Canada’s only nationally recognized Lifeguard certification program. National Lifeguard is a legal certificate for lifeguarding throughout the country, and the only lifeguard certificate recognized by the province of Ontario.